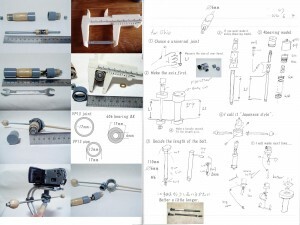 You may make a DIY steadicam. You just order the parts Amazon.com. I tried to look for some parts. I can find almost parts. …The size of the pipe,Japan and the U.S. different. How to make DIY Gimbel. Why do I call japanese style? I watched somemodeler use Horizontal rod.